shy at first,honest,trustworthy,kind cinema running walking.would like to start family. petit dark haired girl reserved likes going to cinema walks if your into gaa that will help!! and a girl who wants to start a family. somewhere we could have a quiet drink.see where it goes from there. 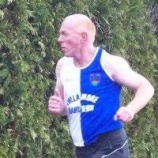 runners50 is a Male dating in Offaly, Ireland. Check the description of this 56 years old profile, he is White/Caucasian and Catholic maybe this matches your profile description and you can both start dating in Ireland for free.